The larger than life characters of the Five Nights at Freddy's series are back as Pint Size Heroes with that special Funko touch. Your favorite characters from Sister Location measures approximately 1 1/2-inches tall. 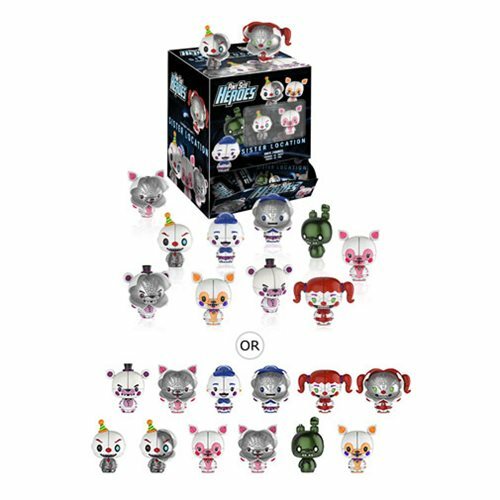 The Five Nights at Freddy's Sister Location Pint Size Heroes Mini-Figure Display Case includes 24 individually packaged mini-figures.